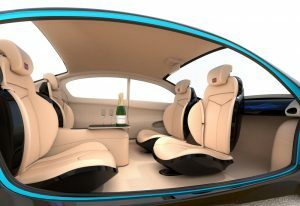 Self Driving or Autonomous Vehicles for the Future? When most people think about cars, they have an associated memory, possibly from their childhood or more recently, when they purchased something that they had been saving up for a while. Cars have always been personal, to the majority of people. It’s currently one of the biggest purchases that one will have to make in their lifetime, and it’s something that most will have to live with for a good chunk of time. It’s kind of like a household pet, one chooses the best fit for them, which will hopefully make things easier and bring them joy knowing that it’s theirs. However, what if that all was to change? the luxury of choice when purchasing a vehicle. Some form of autonomy has existed since the 1500s when Leonardo Da Vinci graced this planet with his unmatched curiosity and innovation by setting a foundation for future creators to thrive. Fast-forward to the 1930s when initial versions of autopilot in aviation were invented and you will see that autonomous technology has been with us for quite some time. In between that time and the early 2000s there were different technologies, from cruise control to robotic technology driven by cameras, that have helped in creating what is being crafted now for self driving vehicles. Also, the DARPA competition was a huge propellant in the self driving technologies development. Fast-forward today, and you have a full force project with different organizations at all levels working together to make this once distant idea a concrete reality. given all of these giant companies are in a battle of innovation with the support of local, state, and federal agencies and governments. those questions, a quick peek into how some of these technologies work should be examined. One of the most prominent technologies being used in autonomous cars is LIDAR, which stands for Light Detection and Ranging. LIDAR is essentially a sensing device controlled by laser pulses, which detects distances to physical structures/objects like the earth’s surface or trees and barriers. Other companies are focusing more on camera sensing devices rather than light. Both technologies will produce the same function for the vehicles in the grand scheme of things and will act as “eyes” that will relay information to the central network (CPU) to make decisions and adjustments based on the environment. 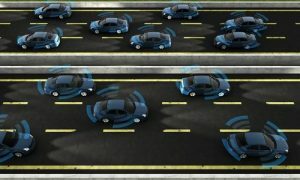 The development and choices made by the companies currently researching autonomy in vehicles will be largely dependent on the scale of autonomy replacing human control on the road. vehicles on the earth seem that much more realistic. Some of Musks’ grand ideas are to have full autonomy replace what we all know today on the road. He pictures a world, where vehicles will be used for personal traveling, as well as public transportation. He believes that owning a vehicle will not only be unnecessary, but an optional luxury that can be used as a resource to work for you and make money for you, when not in use. Imagine parking garages in every town and city, large and small. The idea is that, a vehicle will come pick you up when you need it and take you where you need to go and then return to its designated garage. Most vehicles would then become personal taxis, that you can either decide to fully own to create your own profits, or just use to get around when you need it. pass that on to Musk. be rolled out at all, or should there still be a human element in charge behind the wheel? These things need to be talked about and passed onwards and upwards to the companies on the forefront of this movement. products to improve your vehicle, how you want to? What happens to the memories people have of getting their drivers license and driving a car for the first time on their own? These may be small sacrifices considering the overall improvement of transportation through autonomy, but it is curious if one day, driving a vehicle will be considered more of a luxury than a chore. There is a lot here, so please feel free to comment on or share this article with anyone you want, to create an active discussion around this topic, cars, and life in general. Hope to see you back soon!